The fireworks are blazing and the sun is settling over the horizon. The locals and visitors are ready. 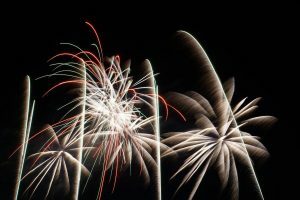 If you’re looking to spend your July 4th in Gulf Shores, here are some upcoming events you can look forward to. You can’t go wrong visiting The Wharf in Orange Beach anytime, but on the 4th of July, it truly comes alive. Every year, this picturesque spot becomes the go-to spot for your celebrations, complete with kid-friendly activities, food and drinks, and one of the most spectacular fireworks shows in the area. Admission to this event is free, but other activities such as face painting and trampolines do charge a free. 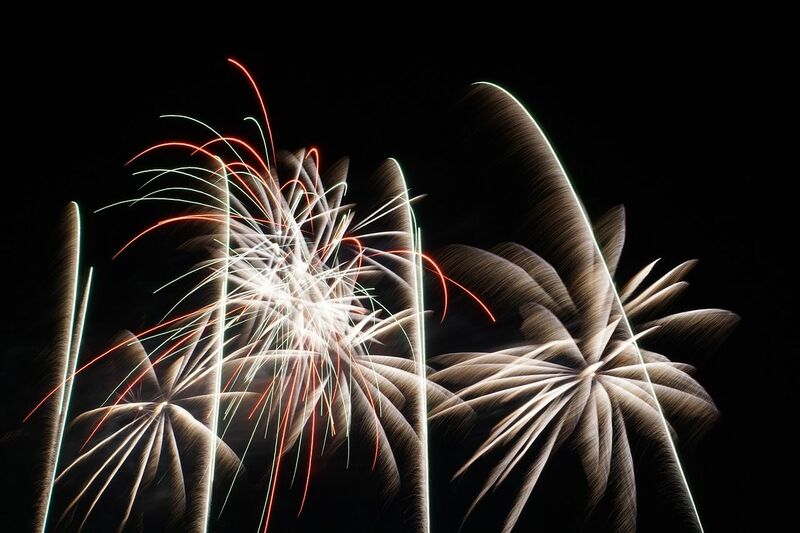 Celebrations will take place from 5-9 p.m. with the fireworks display at 8:45. 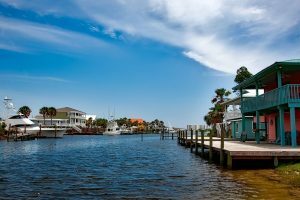 One of the most well-known restaurants in Gulf Shores, The Hangout is known for its fresh seafood, live music, and fun events all year round. July 4th is no exception. They often bring out a special musical act for the evening, sure to entertain all your family and friends. The restaurant also has fun games like limbo, air guitar battles, water gun fights, and more! 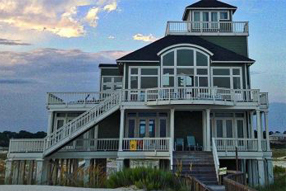 You’ll also have a great view of the fireworks from the beachfront. Visit The Hangout’s website for more information on this and other upcoming events. They will be announcing more details closer to Independence Day. 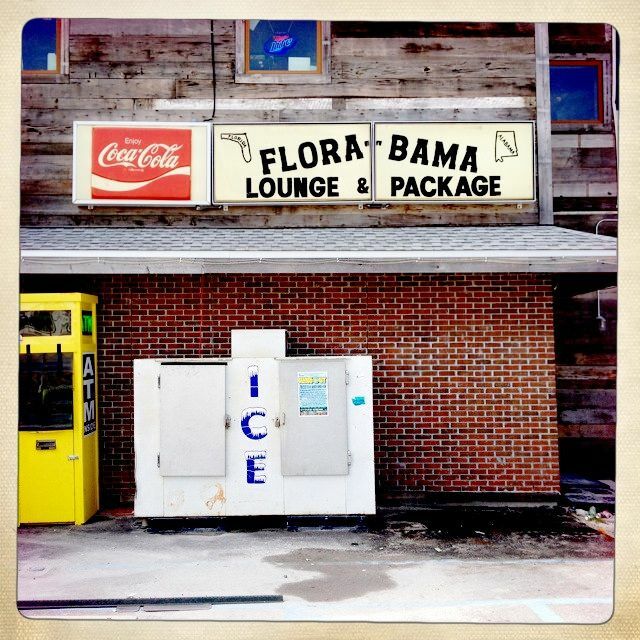 Flora-Bama will be hosting two events for this year’s celebrations. Looking to get in some exercise this July 4th? Join in the 6th Annual Shark Run. There are three race options to participate in. The 4 Mile All Road Race is the flattest option, while the Original Adventure run consists of 2 miles on the road and 2.5 miles on the sand. Finally, the 1 Mile Adventure Run is fully on the beach. Come join in or just watch your friends run away from the “sharks”! Of course, you have to stick around afterward for refreshments and free beer! Visit their website to register. The races begin on July 4 at 7 a.m. In addition to the Shark Run, Flora-Bama is also hosting the Miss Firecracker Bikini Contest. This event is sure to be one to remember as locals compete for cash, prizes, and the title of Miss Flora-Bama. Sign-ups start at 1 p.m., and the contest kicks off at 3 p.m. This beautiful spot has events all year long, but at Independence Day, you can experience some true American history. 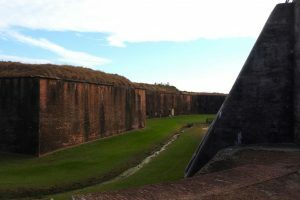 This year, they will be hosting a World War I photo exhibit, where you can learn about the pivotal role the fort played in American history. While you’re there, be sure to explore the museum, beach, and fishing grounds. The World War I event will be held on July 2nd from 10 a.m. until 4 p.m. Admission to the event is included in your ticket price, which is $7 for adults. 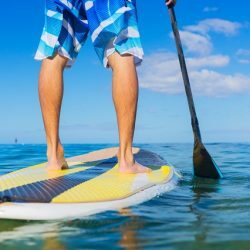 If you want a more laid-back experience that is still fun for the whole family, spend Independence Day at Tacky Jack’s. With three locations, Tacky Jack’s is one of the best places to watch fireworks near Gulf Shores. They are known for their fresh seafood and phenomenal Gulf views, perfect for wasting the afternoon away until the celebrations start at night. Sit outside and watch the waves, or walk out to the water to get a better view. 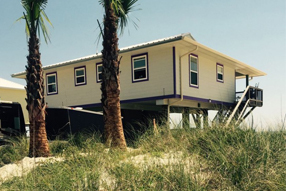 Tacky Jack’s has locations in Gulf Shores, Fort Morgan, and Orange Beach. They are all located on the water and offer delicious food and drinks. Visit their website for more information. 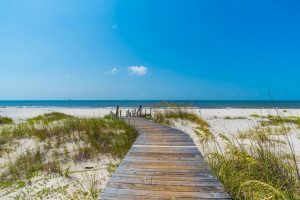 For your perfect Independence Day getaway, you’re going to want one of the best vacation rentals near Gulf Shores. 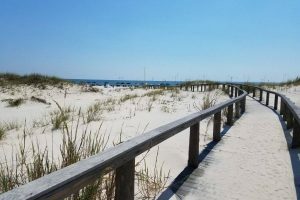 Our Fort Morgan vacation rentals put you near the action while still giving you the privacy and relaxation you deserve. Contact us today for more.